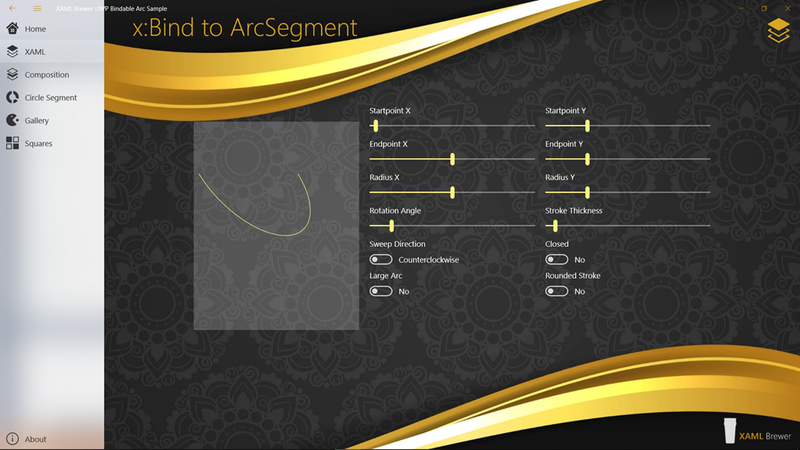 In this article we’ll show some ways to create a bindable arc segment for UWP. 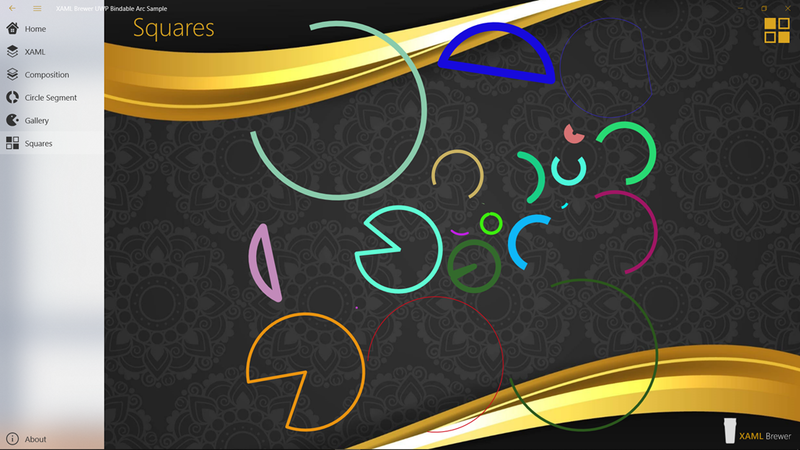 We’ve been using elliptical arc elements relatively often. 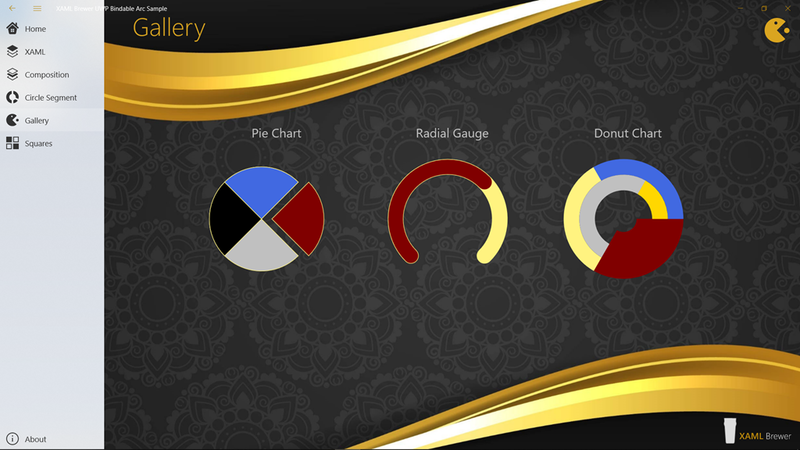 In most cases these where parts inside of user controls such as the percentage ring, the radial range indicator, and the radial gauge. We noticed that every time we used elliptical arcs, the hosting control’s code rapidly became cluttered with path calculation and drawing routines, making its core functionality unnecessarily hard to debug and extend. So we started looking for ways to abstract the calculation and drawing routines out of the user controls and into some reusable pattern. 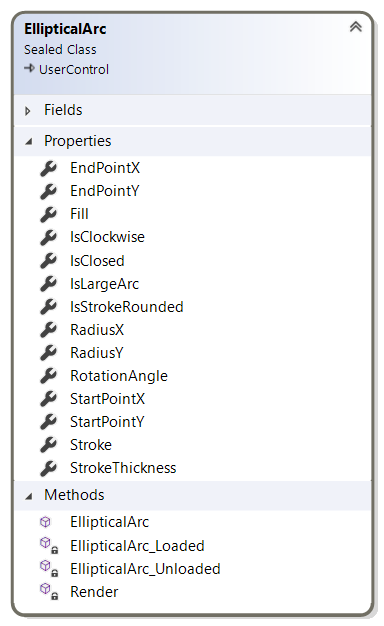 The ‘classic’ way to draw an elliptical arc in UWP goes back to WPF, and is also implemented in the user controls that we just mentioned: in your XAML, place an ArcSegment as part of PathFigure in a Path control. The Path provides the Stroke properties (color, thickness, pattern), the PathFigure provides the start position, and the Arcsegment provides the rest. 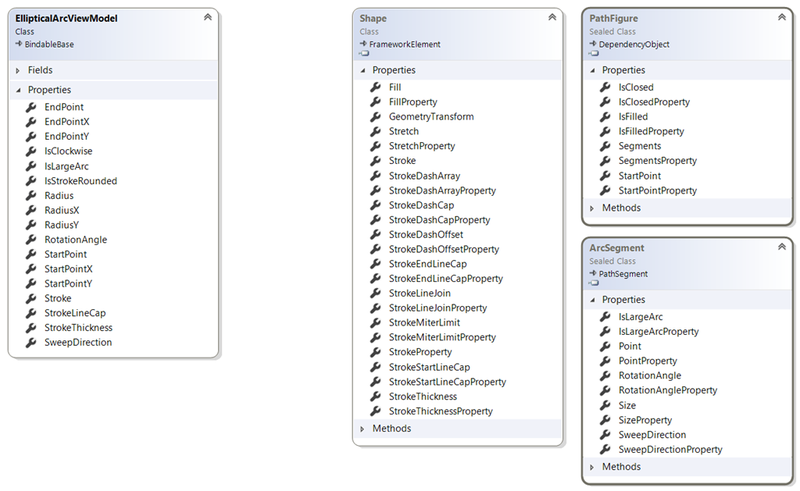 It’s relatively easy to make this solution more reusable by turning it into a user control. 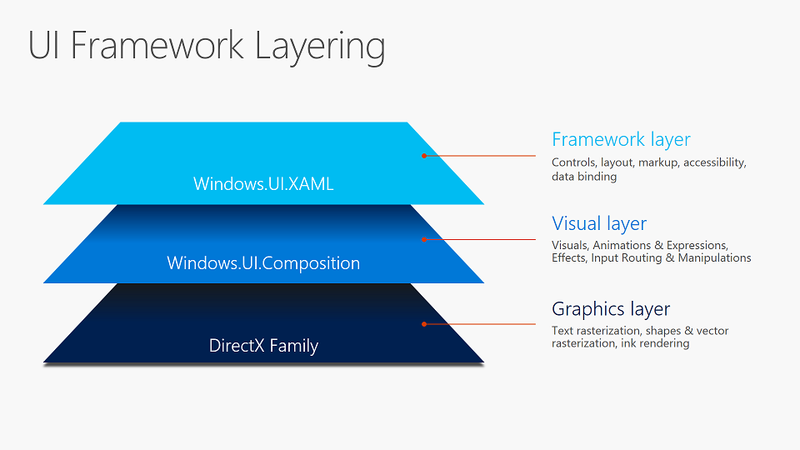 If you’re looking for an example of this, just check the code for the PieSlice and RingSlice controls from WinRT XAML Toolkit. The Visual Layer allows for fast drawing off the UI thread. 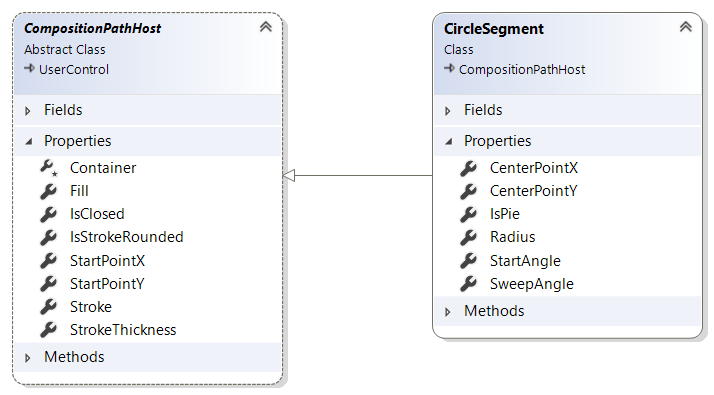 Its API was recently enhanced with capabilities to draw paths. This makes it a logical next step in our attempt to create bindable paths. 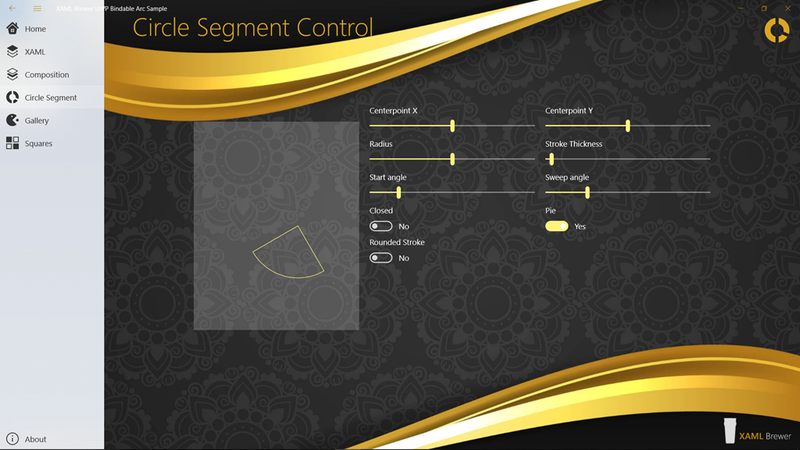 The experiment with the light weight user control inspired us to move one step further, and create an easy-to-use circle segment control as part of a ‘reusable generic bindable path drawing framework for UWP’ (a.k.a. an abstract base class). Please observe we switched from integers to doubles for all coordinate properties. The calculation of the starting point revealed the rounding errors when using integers. This entry was posted in Composition API, User Controls, UWP on December 6, 2018 by xamlbrewer.